Today, Amazon announced their entry into the monobrand e-tailing business with an online store dedicated to Derek Lam’s 10 Crosby contemporary line. You may recall that on May 7th, 2012, Amazon’s Jeff Bezos proclaimed, “It’s Day 1 in the category,” in reference to Amazon’s foray into the fashion world. Since that time, a good bit has been written about the impact this would have on the fashion industry. The big question on everyone’s mind was: Would Amazon be as disruptive to the fashion world as it has been to books, DVD’s, music and other products? Amazon and Beaudoin are in discussions with bigger names including Ralph Lauren, Burberry, and Gucci and Prada from Italy. German fashion group Hugo Boss says Amazon’s power cannot be ignored, but adds that many Hugo Boss products on Amazon have not been approved for sale on the site. Amazon, which gets 40 percent of its revenue from 3rd party sales, continues to deal with complaints from Hugo Boss and Guess over the practice of unauthorized sales. Another challenge Amazon will face, similar to brick and mortar stores, is the acceptance of retailer/designer collaborations (e-tailer in this case). 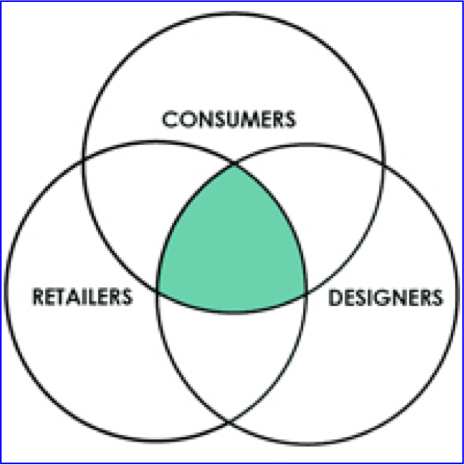 The success or failure of these collaborations is dependent on three critical, interdependent elements: the designer, the retailer and most importantly the customer. In an article on Forbes.com entitled Retailer/Designer Collaborations – The Missing Link, Greg Petro, CEO of First Insight stated, “The solution is for retailers and brands to understand whether their target consumers will buy the proposed collections through the proposed channel. This involves a deep understanding of consumer value at an individual brand and product level, by retailer. The good news is that consumers want to be involved, and modern technology tools make this possible." Amazon will not be immune to the factors that can make or break a successful collaboration between retailers and designers. In his four part series on Forbes.com last year, “Can Amazon Take on Fashion?”, Greg Petro discussed in detail the challenges Amazon would face when entering the fashion world. In addition, opportunities and solutions were presented for retailers and brands to create exclusive assortments in order to avoid commoditization and instead present a truly unique product.